•Dry Coconut, grated – 1. •Chutney dalia – 50 gms. 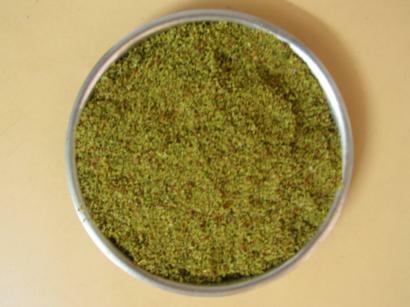 •Chutney seeds – 50 gms. •Cilantro leaves – 2 tbsp. •Cumin seeds – 2 tbsp. 1. Roast all the ingredients and grind them on grinding stone. 2. This chutney can stay for 2-3 months.